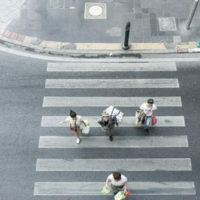 When a pedestrian is hit by a motorist, the consequences can be devastating. An example is the tragic accident that occurred on Route 228 east of Western Parkway in Waldorf. The driver of a Buick Regal was in the first left turn lane of Route 228 when a pedestrian was crossing the street. A collision occurred and the pedestrian lost his life at the scene, according to wusa9.com. Deepest condolences go out to the friends and family of the pedestrian who lost his life. Losing a loved one is never easy, but the pain and trauma is only made worse when the loss is sudden and completely unexpected. Unfortunately, serious collisions between motorists and pedestrians are quite common in and around Waldorf. In fact, data indicates that close to 130 pedestrians lose their lives each and every year in Maryland. These injuries often require weeks, or even months, to treat. Some injuries are so severe that they can negatively impact you for the rest of your life. As a result, you could be looking at tens of thousands of dollars in medical bills, lost wages, and a diminution in your quality of life. In Maryland, drivers are required to carry Personal Injury Protection (PIP) benefits. These are benefits you can access shortly after an accident without having to reach an assessment of fault. It is convenient to have access to these benefits, but they also have serious drawbacks. For example, PIP benefits are generally limited to $2,500. This means that the insurance company is only required to pay up to $2,500 in medical bills and lost wages through PIP. If your damages exceed $2,500, then you are left to figure out how to pursue compensation for your remaining damages. 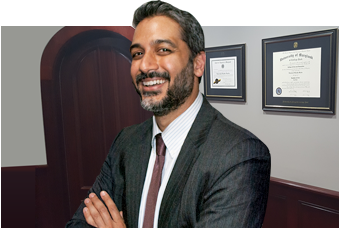 If you or a loved one was hit by a motorist while crossing the street, contact the Law Office of Hammad S. Matin, P.A. today. Our law firm is well-qualified to handle an array of personal injury cases, including pedestrian injury claims. Schedule a free consultation right away.